My kids have so many questions every day and to be honest I don’t have as many answers as I thought I would. We homeschool so this issue is even greater. I want to have all the answers, but sadly I don’t possess that power. So I rely on the Echo Dot Kids Edition to help answer those thousands of questions; filling their inquisitive little minds full of knowledge and opening up a whole new world to them. I personally love that they can ask how to spell certain words. “Alexa, how do I spell Rudolph?” and just like that they know how to spell a new word. 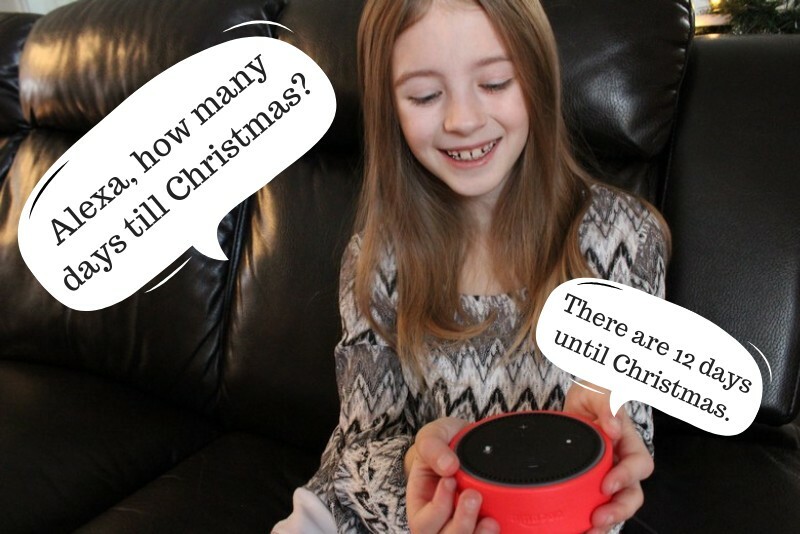 “Alexa, how many days until Christmas?” This one is asked all the time! For some reason the information they learn from Alexa seems to stick better than when I tell them; so bonus! With world-class parental controls I know I can rest easy and I can also save on yelling down the hallway to get their attention because I can use my Echo Plus (or other Echo products) to communicate with their Echo Dot Kids Edition. In two seconds I can call them to dinner without having to yell. Imagine using it like an amazing intercom system. My daughter loves playing music, but I have to oversee her music on her tablet and the sound isn’t what she would like it to be. With the Echo Dot Kids Edition kids can easily play all their favorite tunes instantly. Our whole family loves this during the holidays because we can listen to all our favorite Christmas songs; the whole house is filled with music. The Echo Dot Kids Edition also comes with a whole year of FreeTime Unlimited. This means a whole year of kid friendly audible books, quizzes, music and more! As a parent you have complete control over everything that comes across the Echo Dot Kids Edition with the Parent Dashboard. You can even control when it comes on and off. Kids can use the FreeTime Unlimited across Fire Kids Edition Tablets and compatible Echo devices. FreeTime Unlimited on Alexa is available on Echo devices like the Echo, Echo Plus and Echo Spot starting at just $2.99 a month. 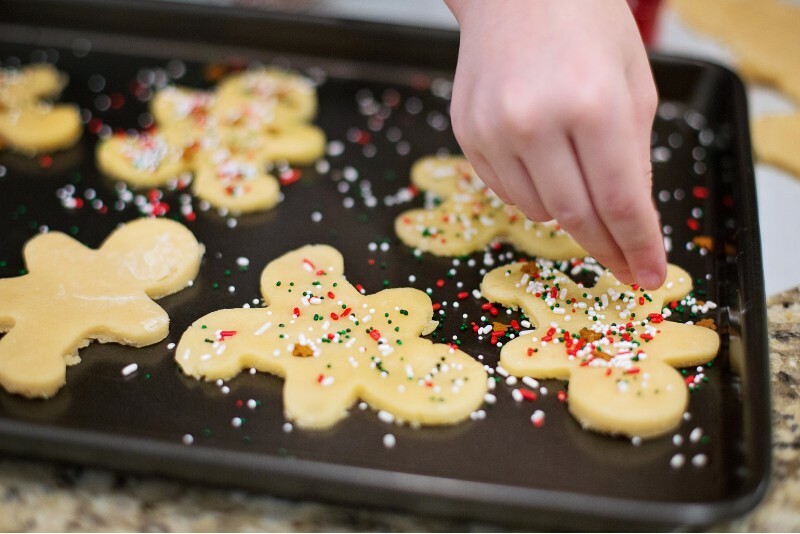 As a parent I love any device that comes with some safety assurances just in case my kids aren’t the most gentle and the Echo Dot Kids Edition has several! First, it has a kid friendly cover to protect from the occasional drop and if that’s not enough it has a 2-year worry-free guarantee. Which is really just two years that you as a parent don’t have to worry about it as your kids run through the house with this amazing little device. 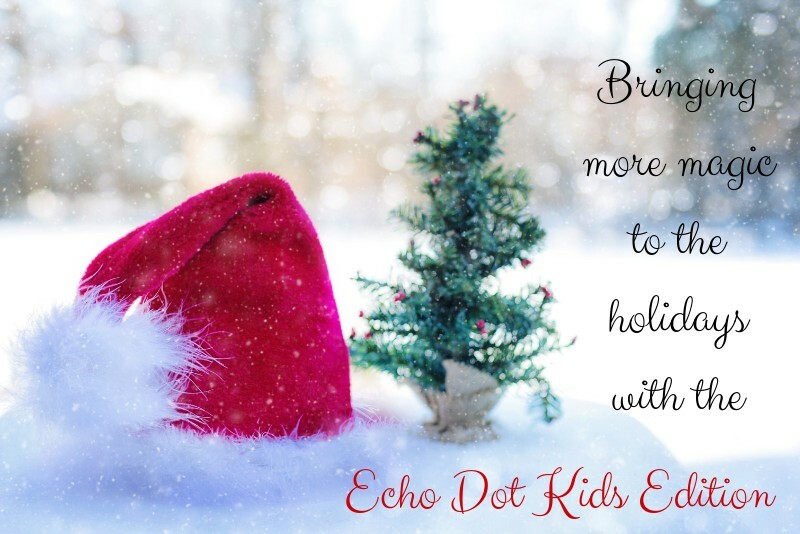 If you are looking to give an amazing this year or just want to add a little more fun and magic to your holidays then you definitely need to check out the Echo Dot Kids Edition and other Echo devices. It’s also an incredibly affordable gift as well!